Learn what Google knows about you… or your suspect! Elcomsoft Cloud eXplorer is a brand-new tool offering easy over-the-air acquisition and analysis for a wide range of Google services. Download and view Contacts, Hangouts Messages, Google Keep notes, Chrome browsing history and page transitions, search history and followed Web sites, Calendars, images, location and more. Built-in viewer provides easy access to collected data. Two-factor authentication is supported. Enjoy our exclusive first-time-user offer! 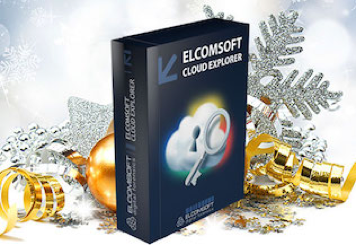 For a limited time, we offer Elcomsoft Cloud Explorer with 30% discount. If you’re using one of Elcomsoft’s forensic bundles, you will receive an even greater discount offer. Hurry up! The introductory offer expires on February 1, 2016. Please note this offer is valid for direct end-user purchases only.